“Jill Peck, as I have always known and called her, as opposed to just Jill, is a creative, interesting, and community minded soul from our small town of Copake, New York. Born and raised. Native, as they say. Years ago our rural agriculturally laden corner of Columbia County was more of a cow mecca than people mecca. The few inhabitants of our small town were more like family than just friends. It was a nucleus of common interest. A simple life where cooking, cleaning and farming prevailed. A NOTE TO THE COOK: This is a cookbook with a story from the late 1800’s to around 1970. The recipes are from home cooks, which have not been tested in a commercial kitchen. 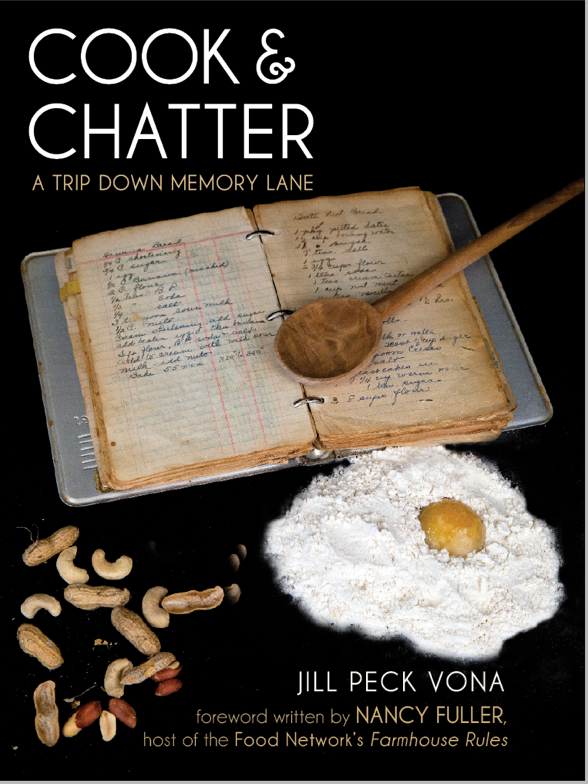 The recipes, the photos and anecdotes from the cooks tell the real story; it’s not about the preciseness or execution. The recipes are the way they were originally written for the most part. It’s meant to be a fun cookbook and to bring back memories. Many people participated in the project. The recipes, photos, and stories were graciously and willingly shared, which enhanced the final outcome of this wonderful collection. A second edition with 50 new pages. Personalized Autographed- Farmhouse Rules Cookbook – Please read full instructions!